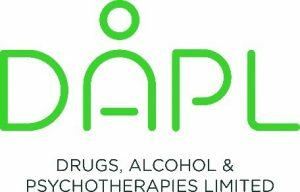 Drugs, Alcohol and Psychotherapies Limited (DAPL) is a Fife wide service which offers one to one counselling, support, information and advice to individuals and families who are affected by substance use. The organisation, which was formed in Levenmouth in 1994, has its headquarters in the seaside town of Leven. DAPL also has premises in Glenrothes and Kirkcaldy, however a lot of work is done in GP surgeries and social work offices for example as the service covers a large geographical area across the Kingdom of Fife from the Tay Bridge in the north to the Forth Bridge in the south. Access to DAPL is available for individuals of all ages and is free of charge. DAPL’s counselling service is accredited by the British Association for Counselling and Psychotherapy (BACP) – an honour which is held by only two other organisations in Scotland. 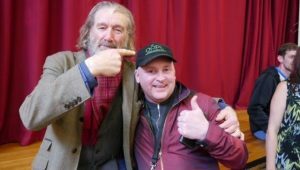 The organisation is well established and is supported by two patrons in Fife who are well known for their charity work, namely actor Clive Russell and Eleanor Bowman MBE.